Suitable for all kinds of decor from traditional to contemporary the fan stands out with its unique blend of aesthetics and technology. Its specially designed wood finish blades air to spread naturally, cooling the space around it evenly. The technologically advanced motor makes the fan whisper quiet, without distracting you from your dreamy trails. Its five blades span out magnanimously with 52 inch sweep size, adding luxurious grandeur to your interiors. Specially designed five blades in elegant wooden walnut finish spread air consistently all around its space and surroundings its five blades make the air flow smoothly and quietly to create a more pleasing environment, operating at 49 Dolby. 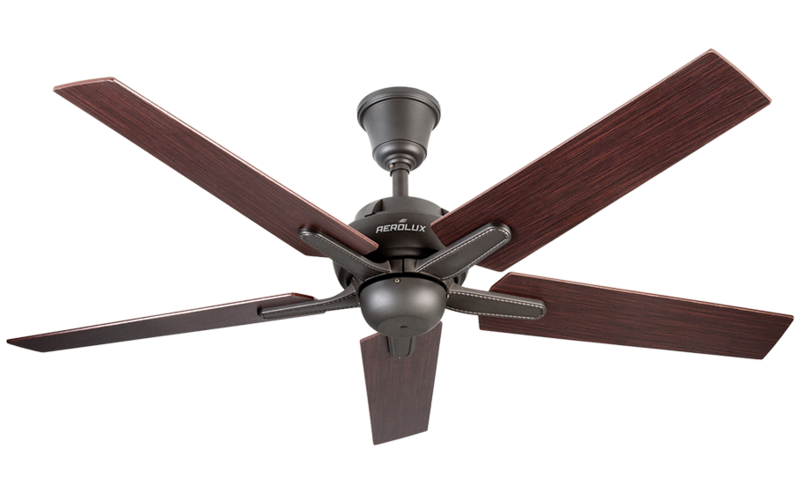 To keep your experience pleasant the advanced motor, along with its smooth five blades movement makes the fan whisper quiet, reducing ambient noise in your treasured space, operating just at 49 Dolby. The robust build quality of our motor inspires us to provide you a 10 Year warranty. A convenient Radio Frequency Remotes with a touch screen allows you to control the Fan and the light hub from any corner of the room.